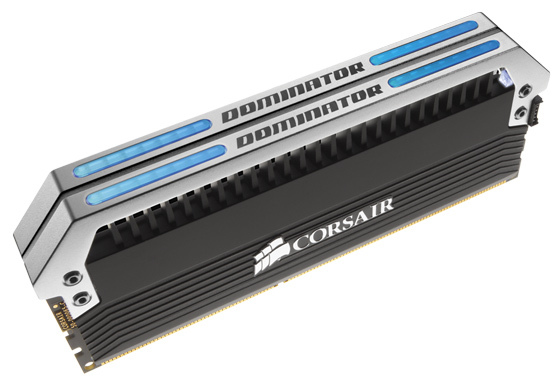 Corsair has announced a large amount of new PC accessories and components at the CES in Las Vegas today. The cornucopia of kit includes gaming keyboards and mice, the “world’s fastest USB flash drive”, an all-in-one wireless mobile storage drive, a “super-massive” tower PC case and new lighting kits to show off your Dominator Platinum memory sticks! Corsair today announced two new ranges of gaming peripherals; new next generation members of the premier Corsair Vengeance range and the US/German availability of the more keenly priced, yet still high-performance, Raptor gaming peripherals. The Vengeance range gained the new K95 Gaming Keyboard. This “new top dog” is a refinement of the previous successful and award winning K90. The K95 has all new styling including a black anodised brushed aluminium chassis and is equipped with white LED lighting to individually light each and every key. 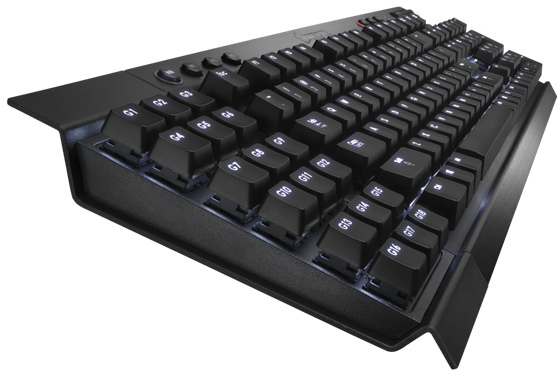 This keyboard sports Cherry MX Red mechanical key switches. The Vengeance K95 includes 18 programmable macro keys and full anti-ghosting, 20-key rollover with a 1ms reporting rate. The gaming optimised Vengeance M95 and M65 Gaming Mice are built upon an aluminium unibody chassis. Both of the mice have a new 8200 dpi sensor with on-the-fly resolution switching and that all-important high-mass scroll wheel. 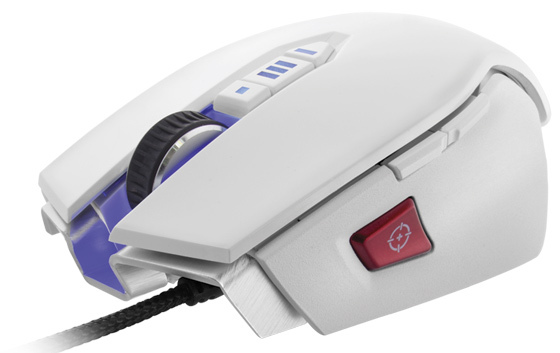 The Vengeance M95 is optimised for MMO gamers with 15 programmable buttons. The Vengeance M65 is designed for FPS fans with a sniper button which instantly toggles dpi for more accurate aiming. Completing the Vengeance series portfolio is the Vengeance MM600dual-sided gaming mousemat, and the Vengeance 2000 wireless gaming headset with Dolby 7.1 surround sound. As a result of the recent acquisition of Raptor Gaming in Germany, Corsair Raptor gaming keyboards, mice and headsets are now available in the US and Germany with other countries to follow. The range has pro-gaming features but uses more conventional materials than the Vengeance series to meet lower price points. 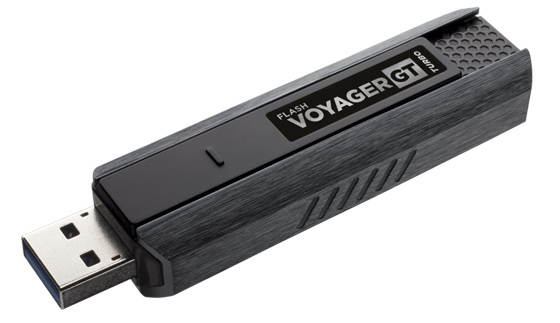 The Corsair Flash Voyager GT Turbo is described in the press release as the “World’s fastest native USB 3.0 flash drive”. The headline read and write speeds listed by Corsair are 260 MB/s and 235 MB/s respectively. Drivers aren’t needed by modern Windows/Mac/Linux machine owners. The drive has a capless design in a brushed metal housing. It’s slated to be available in February at the following capacities and prices; 128GB $179.99, 64GB $89.99, 32GB $49.99. The Corsair Voyager Air is an interesting device with many useful storage and networking features. Corsair call it “the first all-in-one mobile wireless drive, home network attached storage, USB drive, and wireless hub”, which is a pretty good summary of its capabilities. The device includes a rechargeable battery, 802.11n/b/g Wi-Fi, Ethernet and USB 3.0 connectivity. You can access the Voyager Air directly from either PC or Mac and a free app allows streaming to Android and iOS devices. It’s easy to connect the Voyager Air to a home network to access media from Smart TVs and games consoles etc. There will be a 500GB and a 1TB model available next month at suggested retail prices of $179.99 and $219.99 respectively. These lighting kits allow you to customise the appearance of your Dominator Platinum memory. The kits include both blue and white LED bars and an installation tool. Available in February the suggested retail price is $29.99. Also on show at the CES presentation Corsair displayed the Obsidian 900D, a “super-massive, ultra-expandable tower case”. This beast of a case includes 10 expansion slots, 9 HDD/SSD bays (3 hot swap), 4 ODD bays, room for 2 PSUs, 15 fan mount points and 5 radiator mount points. No price or launch details are available for this case but expect to see it sometime around Feb/March. Wow, that's a fast USB stick! So whens the 900D shots coming from Hexus? Please please don't show me the 900D, I'll want it too much.